Dr. Stuart E. Michelson has been at Stetson University as the Roland and Sarah George Professor of Finance since 2001. He has published over 100 refereed academic journal research articles and now serves as a chair for two academic journals. In addition to his research, Dr. Michelson has received nearly a dozen faculty awards in recognition of his significant contributions to research, teaching and service. 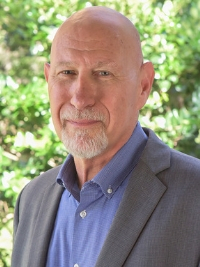 Dr. Stuart E. Michelson has been at Stetson University as the Roland and Sarah George Professor of Finance since 2001. He was dean of the School of Business Administration from 2009 to 2012, director of the Executive MBA Program from 2007 to 2012 and is currently Finance Department chair. His received his Ph.D. in Finance from the University of Kansas. He is editor of the refereed academic journals Financial Services Review and Journal of the Academy of Business Education. He is a member of the editorial board of several scholarly journals, a board member of Financial Executives International and a member of the National Association of Corporate Directors. He is a past president of the Academy of Financial Services, Financial Executives International (Central Florida) and the Academy of Business Education. Dr. Michelson has published over 75 refereed academic journal research articles. His current research areas include behavioral finance, social se curity retirement decisions, mutual fund performance, academic honesty, tax efficiency in retirement accounts, the use of alpha to increase portfolio returns, the use of technology in education, mutual funds and portfolio risk budgeting. He received the School of Business Administration Professor of the Year award in 2009, Researcher of the Year for several years (2002, 2004, 2005, 2006 and 2007), Outstanding Service Award in 2008 and 2015 and Stetson School of Business Dean's Team Award in 2014. He received the Stetson University Hand Award for Outstanding Research in 2008 and the Stetson University Hand Award for Distinguished Service & Community Impact in 2015. "Retirement Planning in Academia" with Schwartz. International Journal of Business, V23 #4, 2018. "The Impact of Age Differences and Race on The Social Security Early Retirement Decision for Married Couples: An Extension with Gender Role Reversals." Docking and Fortin. Financial Services Review, 26(1), Winter 2017. "The Influence of Gender and Race on the Social Security Early Retirement Decision for Single Individuals," S. Michelson, Docking and Fortin, Journal of Economics and Economic Education Research, 2012. "Persistence in Mutual Fund Performance," with Fortin, Academy of Accounting and Financial Studies Journal. 14(4), 2010. "Mutual Fund Performance Persistence - Still True?" with Fortin, Academy of Accounting and Financial Studies Journal, Volume 14, Number 4, 2010. "Green Investing versus Socially Responsible Investing," S. Michelson and J. Mallett. International Journal of Business, 15(4), 2010. "Quantifying Risk When Using Discounted Cash Flow to Value Business," S. Michelson and W. Weaver, at Valuation Strategies, Vol. 13(5), June 2010, pp 4-10. "Cheating Among Business Students: Determining the Influence of Religion, Perceptions of Cheating, and the Campus Environment," S. Michelson, Sendall, Schwartz, and Stowe. Journal of the Academy of Business Education, Fall 2009.